Motomarine, is mainly active in the design and development of pleasure, commercial and military vessels, as well as ship parts and compontents. Manufacturer of coastal speed Boats LAMBRO 57 PB CLASS II. 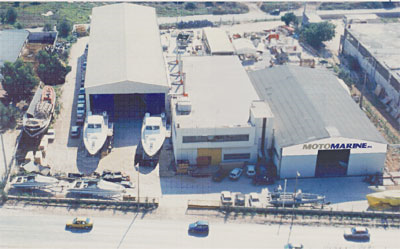 Motomarine is a supplier of the Greek Ministry of defence for the above type of boat. However, Construction is the one side of the products and services of Motomarine S.A.. The company is in position to offer its clients with support and training services for all and each specialised component, even the main engines and electronics. Ανοικτός, δημόσιος διαγωνισμός με αρ. διακήρυξης 06/19, για την προμήθεια αντιδραστηρίων αιματολογικών τεστ, προϋπολογισθείσας δαπάνης, με ΦΠΑ, 269 725,28 EUR.